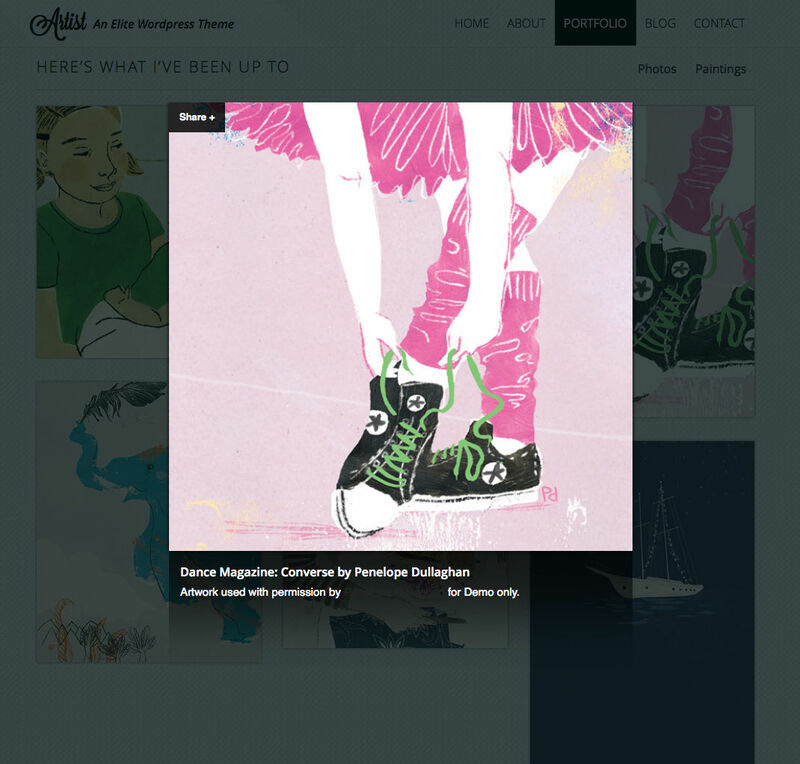 Artist: Your Site, Your Style. Artist is a 100% Responsive template intended for illustrators, videographers, photographers, and other creatives looking to present their work on an ultra-professional website. It embraces cutting-edge design trends & tech, looks amazing, and is guaranteed to adapt to your unique style of work. 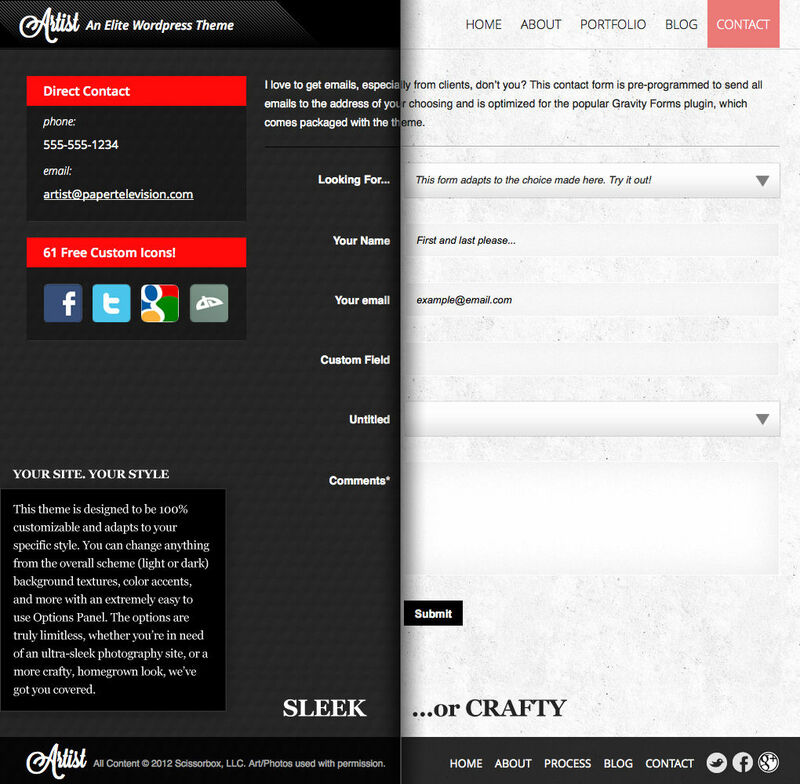 Further, the entire site revolves around your work and personality. It puts your work first and foremost, ensuring that your audience will know exactly what type of creative professional they are about to meet. More importantly, it raises you above the competition through pristine technology and unprecedented sharing abilities. 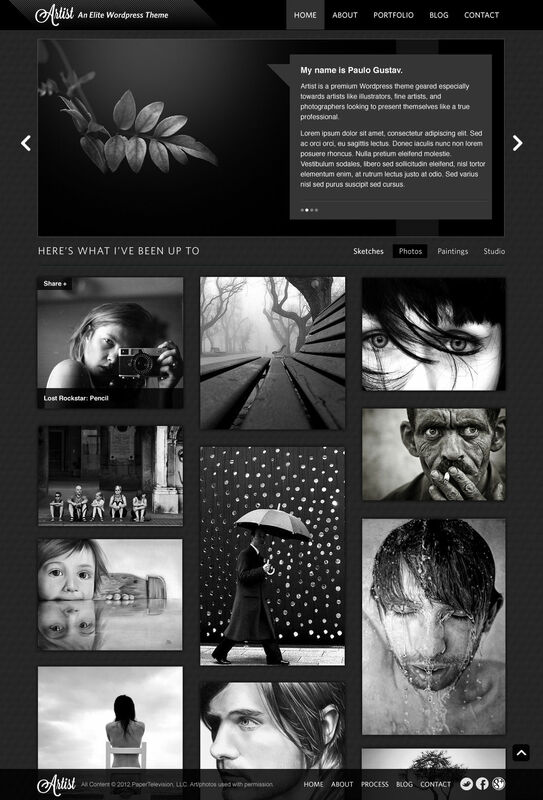 Once you dig in, we’re positive that you’ll be amazed by how powerful this theme truly is. 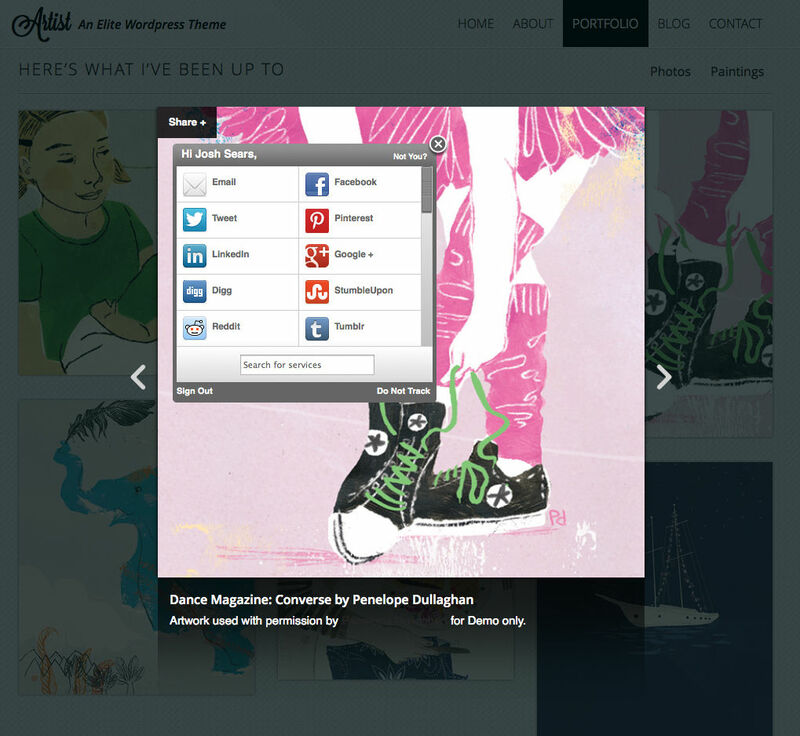 The Artist template is extremely powerful but also very simple to customize to your own needs. Our team worked hard to ensure that the site is just as easy to use to the novice as it is for a technical genius. 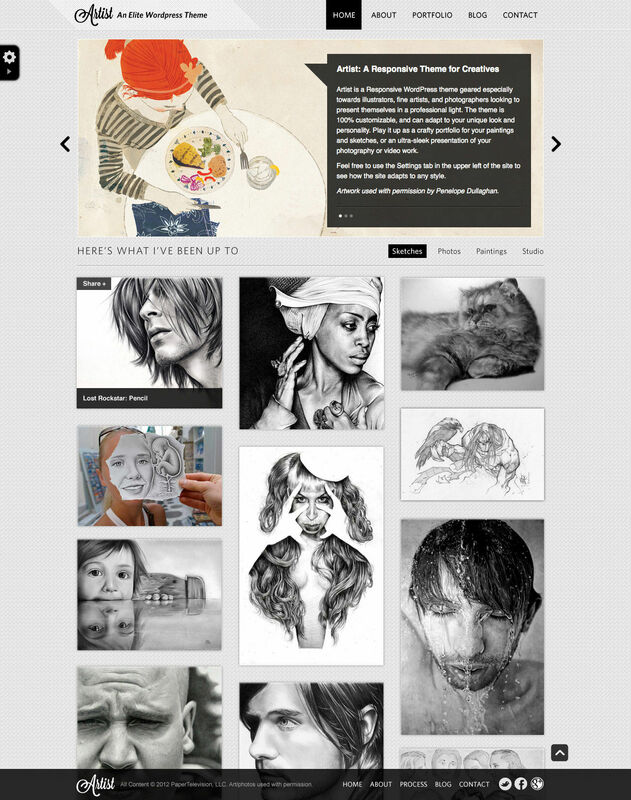 Artist is one of the most customizable templates available, and is essentially an all-in-one site builder. Not only can you adjust the custom skins, but you can tweak the colors, background textures, slideshows, galleries, and more. 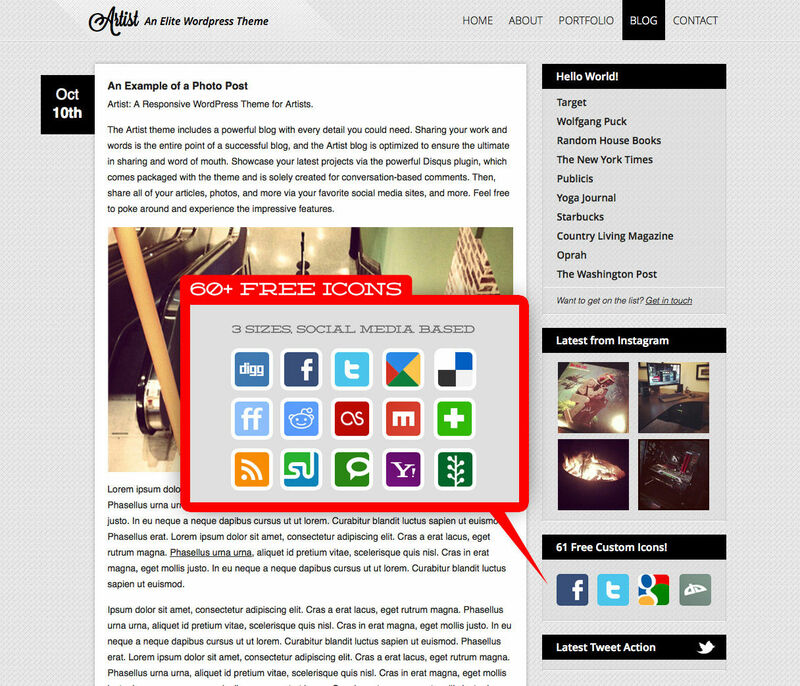 • Bonuses: Free icons, PSDs, and more! The portfolio itself is a highly versatile section of the site that let’s you organize your work by topic or medium, and also let’s you display personal photos, shots of your studio, and pretty much anything else you can think of. No matter what you add, it will remain organized and easy to use by your visitors. All of your work is organized in a Pinterest-style montage that autoloads as the user scrolls, ensuring that they’ll have a tough time not getting addicted. Artist is ideal for creative people of ANY nature, and that goes beyond just the typical portfolio. It is perfectly suited to showcase your favorite photos, show off your unique collectables, and to even link to an online shop like Etsy. It was built from the ground up not just for creative portfolios, but for flexibility, making it a true “Do It Yourself” website builder. 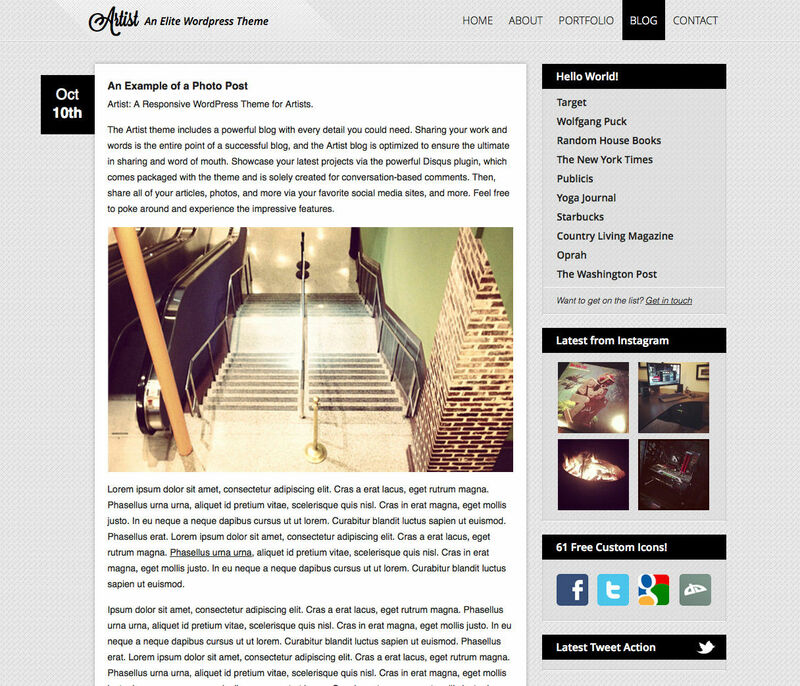 • Fully-featured, Responsive Blog with everything you need to adapt it to any popular blogging solutions.